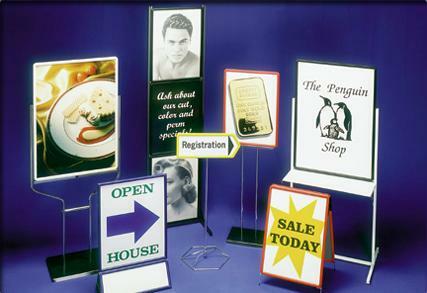 Sign-Age offers a wide variety of stands to meet your needs. To the right is just a sampling of what is available. Contact us for more information on how we can help you display your signs effectively!